We're not too far off when both parent will be catching food for the three chicks. For now one adult stays back to look after the youngs, whiile the other goes fishing. All three chicks look about the same size and as well looking healthy. 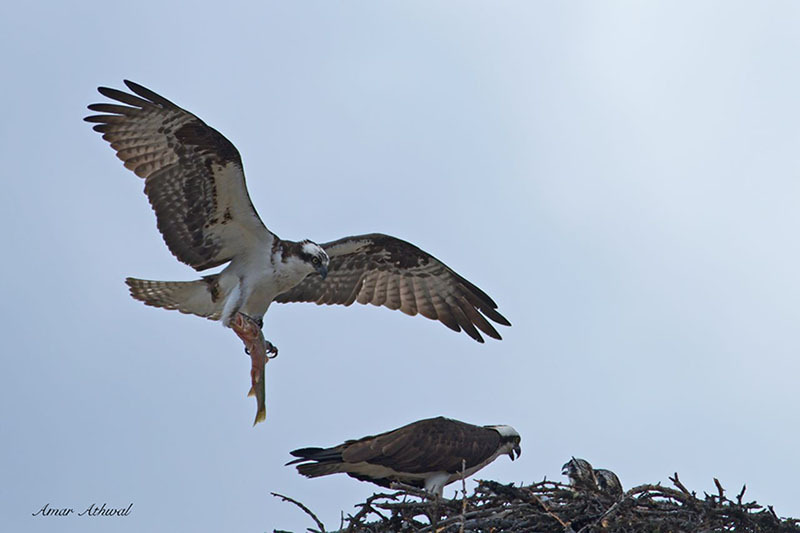 Which means fishing is good and all three have a chance to fledge later this summer.